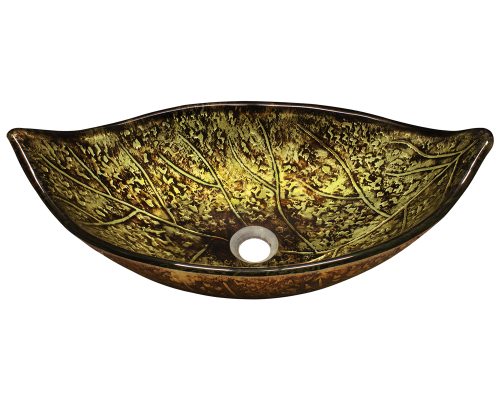 As with all MR Direct, glass, vessel sinks, the quality is outstanding. 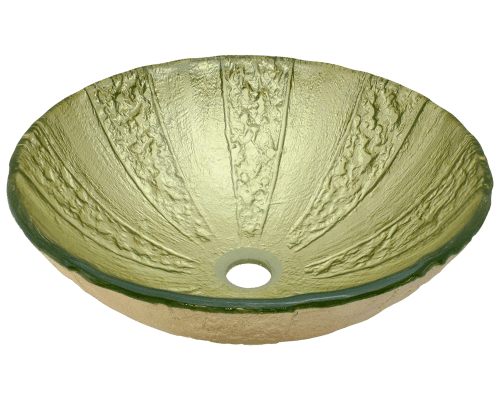 Extreme firing tempers the glass so it becomes very resistant to breaking. In the off chance breakage occurs, harmless pebbles rather than dangerous shards of glass would result. 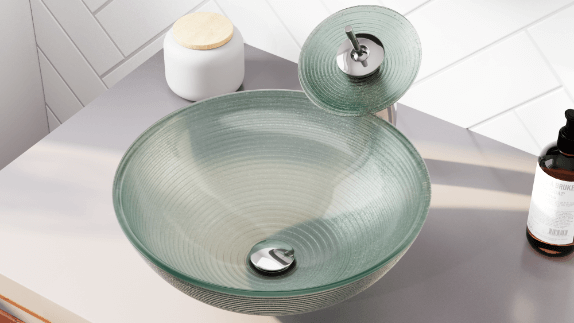 All our glass basins are very thick which furthers their stability and durability. 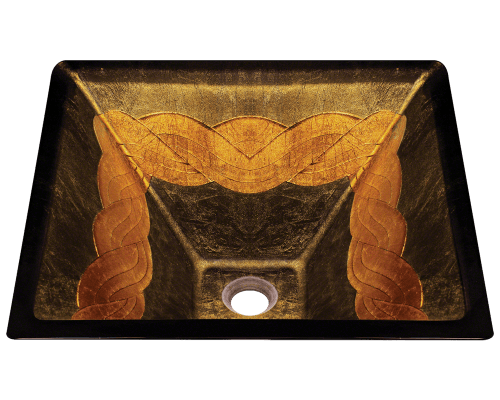 All MR Direct, colorful, foiled, glass, vessel sinks make their own artistic statement as they rest upon the vanity. 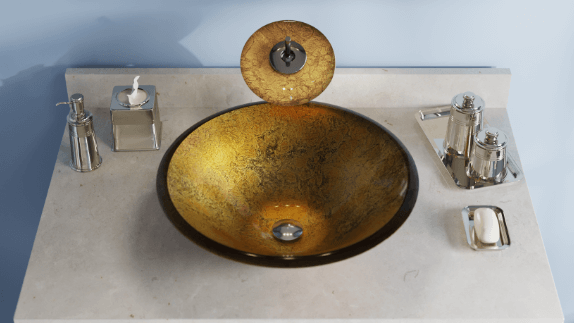 The MR Direct, foiled, glass, lavatory sinks are designed in various shapes and sizes; embedded with endless choices of shimmering foils. 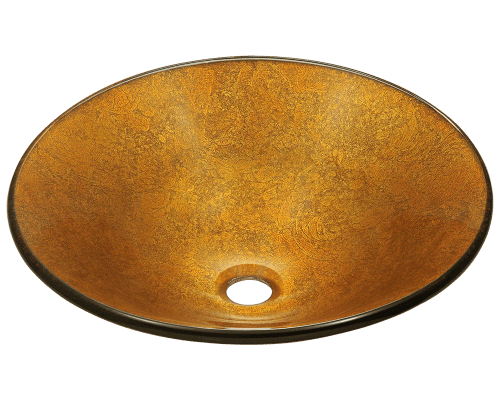 Most are round, foiled, glass, vessel sinks; some are rectangular or square, foiled, glass, vessel sinks. A few take on an organic shape and some may be frosted and textured as well. 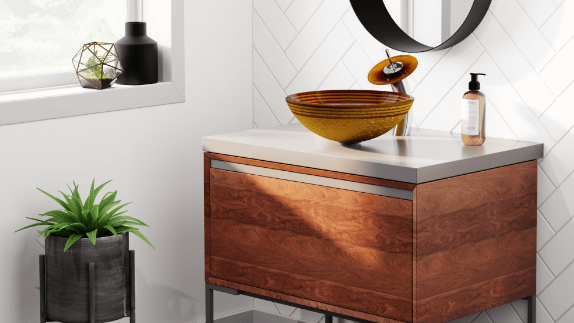 Care of an embedded foil, glass, bathroom, vanity sink is simple. Clean-ups are done with common soap and water, though commercial glass cleaners are very effective as well. 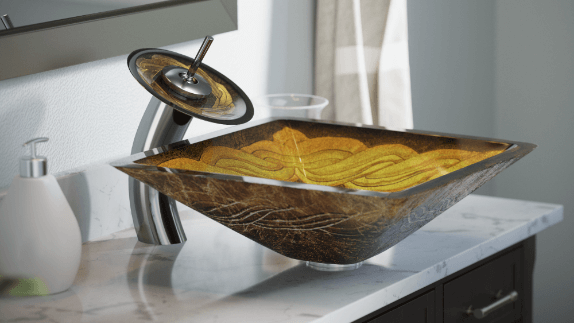 Glass sinks are very sanitary because they have no porosity. They will resist stains, odors, and typically not harbor germs. If the exterior is textured, an ammonia-based cleaner will do a more thorough job of cleaning and disinfecting.